Summer camps for kids in the UK can be split into two main categories which include residential adventure camps and multi activity day camps. At most camps there are two types of roles, one is working directly with the kids and the other is working behind the scenes to help with the operations. Thousands of jobs are created every year for staff at kids holiday camps for people with experience and those who have none at all. Most jobs that are created for students and graduates will be seasonal throughout the Summer, Easter and half term holidays only. For anyone that would like to work in the field full time full time careers are available. What is a Multi Activity Camp? A multi activity day camp is somewhere that young people can go to in the school holidays to make friends, interact with others and have fun in a safe and secure environment. Some camps in the UK will accept children as young as nursery age right up to sixteen years old. There are lots of activities that children can take part in. Some of the main activities include bouncy castles, garden games, dance, drama or craft. Most holiday camps will offers many different sports including Football, Swimming or Cricket. Nursery age children will participate in early years activities. Most multi activity camps will be held in schools, colleges or universities so they can make use of the high quality facilities. There are many multi activity day camps set up in the UK. For children to go parents must pay a daily fee. Discounts are usually offered for more than one day or for parents that book in advance. The camps are usually run in the half term holidays, the Easter breaks and throughout the long Summer holiday making them perfect places for students to find a seasonal part time job. What is a Residential Adventure Camp? A residential adventure camp is where older children who would usually be aged between eight and sixteen stay in accommodation and take part in activities from as little as a few days to as much as 6 weeks throughout the school holidays. Students and graduates looking for a job in a residential adventure camp will usually need qualifications in specialist areas. Anyone that gets a job in a residential adventure camp will usually need to live on the camp. They will be expected to arrange evening entertainment such as barbecues or discos. They will also arrange activities for the children throughout the day. Some of the most popular roles available in kid’s holiday camps may include coaching assistant, activity leaders or childcare staff. There will also be more specialized roles available for Football / Cricket coaches or Swimming instructors. 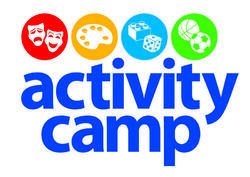 Some of the multi activity camps that accept younger children will offer early years / structured play roles. However working in kid’s camps doesn’t have to be all about working with young people as there are many office based positions available. These positions could allow students and graduates to gain valuable work experience in Recruitment, Finance, HR, Staff Training or even Management. What Age do I Have to be to Work in a Kid’s Camp in the UK? You don’t have to be at College or University to get a job in a camp. Many will take on new staff from the age of 16 as long as they are enthusiastic and are interested in working towards a childcare qualification. To be considered for a management position candidates would require to have previous experience and be qualified to a high level. This really depends on the role that you are applying for. To be considered for some positions you will need to be a graduate or be a qualified instructor. However even if you have no qualifications you could still be considered for roles such as activity assistant. If you are working towards a childcare qualification or have any previous experience of working with children you should definitely mention this in your application to help you stand out amongst the other applicants. If you have a license to drive a minibus or an up to date first aid certificate these will also go in your favour. To work with children you will require an up to date CRB certificate. All camps will apply for one for you but if you already have one then it will save the camp a job and could push yourself ahead of the other applicants. All staff that work in kid’s camps in the UK are offered competitive rates of pay. However students should remember that any seasonal job is as much about the experience than anything else. At all camps you will get ongoing professional training. Students may be given the chance to carry out specialist training or attain UK recognised qualifications. Most camps will provide a free uniform to all their staff. You will also get to work flexible hours so you arrange your hours to tie in with other work or study commitments. Staff at residential adventure camps will be given free food, accommodation and uniform on top of wages. Which UK Kid’s Camps are Currently Recruiting? Kings Recruit – A specialist recruitment service for the spots and childcare sector. They offer seasonal or long term positions in over 50+ activity camps in the UK plus more around the world. Camp Beaumont – They run multi activity day camps for 3 – 16 year old’s. Camp Beaumont Day Camps are based in and around London and the Home Counties. They have camps in London, Surrey, Essex, Kent and Middlesex. Loads of jobs are available across all the half terms, Easter and throughout the Summer Holidays. Super Camps – Super Camps is the UK’s number 1 for childcare within the school holidays. They have been running activity camps for over 18 years. They currently run activity camps at 80 locations around England in the half terms, Easter and Summer holidays. Barracudas – They run Summer and Easter Camps at 29 locations mostly in and around the London area. LL Camps – LL Camps is the first and only American camp in the UK. They are based in Hertfordshire sand run a camp over the February half term, the Easter and Summer holidays. PGL – They offer all inclusive resedential adventure, multi activity and creative holidays to children aged between 7 and 17. They have 12 centres all around the UK. They have hundreds of jobs available in the outdoors, for your gap year and seasonal jobs. YHA Summer Camps – The 5 day all inclusive Summer camps at YHA give 10 – 19 year olds the chance to try thrilling activities and make new friends in the English countryside. They have 5 locations in Sussex, Gloucestershire, Shropshire and 2 in Derbyshire.